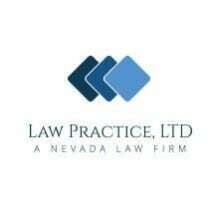 LAW PRACTICE, LTD., is located in Las Vegas , Nevada . We are committed to providing each client with professional, quality, and cost-effective legal representation. A majority of the firm's practice is devoted to family law matters (i.e. Divorce, Child Custody/Child Support, Paternity Actions, and Annulments). Legal services are also provided by LAW PRACTICE, LTD. , in landlord/tenant law. At Law Practice, Ltd., our attorneys and staff understand that often, our clients are in need of a good listener, not just a good lawyer. We are sensitive to our clients’ concerns, responsive to their questions, and strive to simplify the legal process by keeping every client well-informed about their case. Our goal is your satisfaction. Many of the legal services provided by LAW PRACTICE, LTD., are charged on a fixed, flat fee basis. For those matters which cannot be handled on a fixed flat fee basis, we offer competitive hourly rates. Additionally, Law Practice Ltd. offers limited (one time only) legal services which are charged on a fixed, flat fee basis. Please contact our office at (702) 871-6144 to schedule an appointment or to obtain further information about the legal services which we offer. LAW PRACTICE, LTD., is pleased to be your choice for affordable legal solutions. 8:30 a.m.-5:00 p.m. Saturday by appointment only.